PORTLAND, Ore., Feb. 14, 2014 /PRNewswire/ – Rentrak (NASDAQ: RENT), the leader in precisely measuring movies and TV everywhere, today announced the top ten digital movie purchases and rentals of the year based on consumer transaction rate. The report includes Internet Video on Demand (iVOD) and Electronic Sell-Through (EST), for both Standard-Definition and Digital HD movie purchases and rentals. 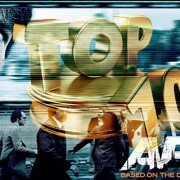 Warner Brothers’ Argo , which won an Oscar® for Best Picture, took the top spot as the #1 Digital Download for 2013 with Warner also taking 4 of the top 10 spots for the year. Paramount, whose World War Z landed at the #2 position claimed 3 of the top 10 titles of the year. Overall Warner Brothers ranked as the #1 studio for movies purchased and rented digitally in 2013. “Electronic Sell-Through (EST) and Internet Video-On-Demand (iVOD) saw significant growth in 2013, largely driven by the terrific films made available by the studios; the growth of Ultraviolet (UV), which now has more than 15 million UV consumer accounts; the addition of more retailers making content available digitally; and studios making more titles available early for purchase on EST,” says Chris Roberts, Rentrak’s Senior Vice President of Sales of OnDemand Everywhere.